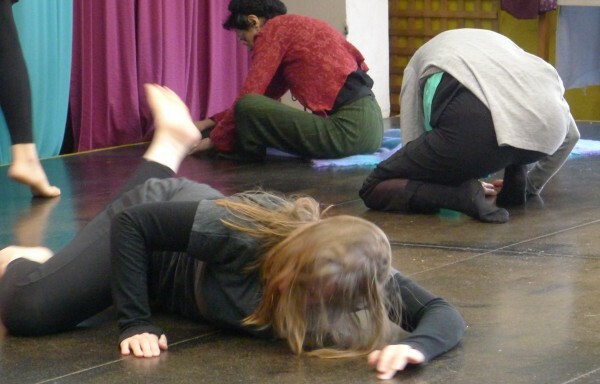 Through Authentic Movement, in the dialogue between the Mover and the Witness, we reside in the active stillness of the body, listening to sensations, feelings, thoughts, emotions. Here lies is the potential to bring one to a place of vulnerability and truth. The Mover emboldens the Inner Witness from a mindful, aware, sensory, embodied, place. Allowing the self to move and be moved, from the deeply blessed purity of one’s existence. This act of perpetuating self-knowledge can be a catalyst towards clarity, understanding and freedom. From the silent practice of Authentic Movement, we will move into SensingfeelingDancing, journeying, through the changing moods, rhythms, styles of music from all over the globe.